Adela trained with Dermace in 2016, and has since started the journey to upgrade her qualification the Level 4 VTCT in Micropigmentation. As a perfectionist, I love using my creative and artistic abilities to enhance a client’s natural beauty. A beautifully constructed eyebrow, with natural hair strokes can boost a client’s confidence, and in some cases dramatically change their quality of life. Sharing a client’s joy when they see the transformation for the first time is truly a fantastic feeling. In achieving this, accuracy is important; there are two aspects to this – firstly with your work - to be able to produce neat and precise work and secondly being able to communicate effectively. Asking questions and being able to fully appreciate your customers’ expectations is essential. Both aspects are supported and covered if you undertake training with Dermace. They provide encouragement and support in your work, in teaching techniques and methods by which you learn to achieve accurate results from every treatment. You will learn how to engage with your customers, what to ask, how to present to them the best most suitable option’s for whichever treatment that they have chosen and how and what to record for the benefits of both yourself and your customer. The training involves theoretical and practical work over a period of weeks; offering a system which uses ‘live’ models; vital in order for you to experience first-hand work on ‘real people’, fully supervised under a controlled and safe environment. 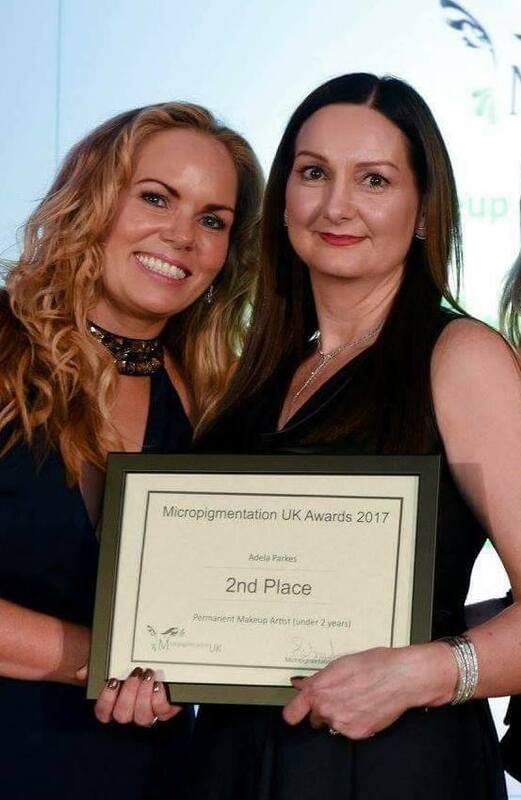 Semi-permanent make up work using micro pigmentation methods is a challenging and rewarding career and I’ve come a long way since my initial training with Dermace with my business growing from strength to strength. Permanently based at Lemon Hair and Nail Spa, The Old Primary School, Calverly Road, Oulton, Leeds, LS26 8JQ, I have developed a room specifically suited for semi-permanent makeup with a clinical yet contemporary feel where my customers can enjoy their surroundings with the reassurance and knowledge that I have invested in myself and business. I have a professional support system from my training provider and quality premises to operate from, ensuring sustainability for the future. My success so far is as a result of excellent training, determination, attention to detail and a friendly, professional approach to client care. Encouraging feedback is of key importance to further development; I have enjoyed a great deal of passionate and positive feedback. Constructive feedback in every respect helps me focus on higher achievement. Continued personal development and training is a must. Having confidence in my ability and training in the early months got me through the tough times whilst I dug in building my ‘brand standard’. Working towards VCTC level 4 is reinforcing my knowledge and experience. It’s an amazing journey and the training and support I’ve received from Dermace in Brighouse has excelled my expectations. Micro-pigmentation is the future and evolving rapidly. There are so many avenues and techniques to pursue I’m truly excited about the future! If you’re looking for an exciting, challenging and rewarding career then speak to Dermace!